The Visa Technology Innovation Program (TIP) is part of Visa’s ongoing strategy to protect the payment system and advance security practices that will help secure cardholder data. This program rewards and further encourages the use of EMV and P2PE technologies as it decreases the value of transaction data to criminals. 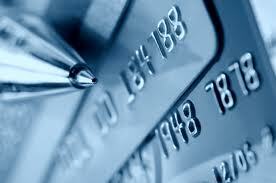 TIP allows qualifying merchants to discontinue their annual PCI DSS revalidation assessment. Qualifying merchants can reap meaningful savings, and will have the opportunity to reinvest those savings into additional technology to support dynamic data processing. Effective 31 January 2017, acquirers must ensure Level 4 merchants annually validate PCI DSS compliance or participate in the Technology Innovation Program (TIP). Find out who qualifies for TIP Visa so your prepared for 2017. Thank you Visa for your awesome contribution!